The creation of successful implantations of medical and senior resident data across a wide-ranging group of platforms by information technology (IT) workers is a challenge in the health care environment. Harnessing this data for practical use has become the Holy Grail for operators of senior living facilities who seek to leverage IT solutions and data capture to improve operational efficiencies and residential care. The IT needs for senior care facilities is rapidly expanding as interoperability of newly installed onsite high-speed wireless networks must link seamlessly with cloud services, the internet of things (IoT), wearables, handheld devices, and more. The stability of the operations of these services is critical. Senior living environments are increasingly hiring IT specialists to ensure the network’s design, management, and security are functioning and integrated. 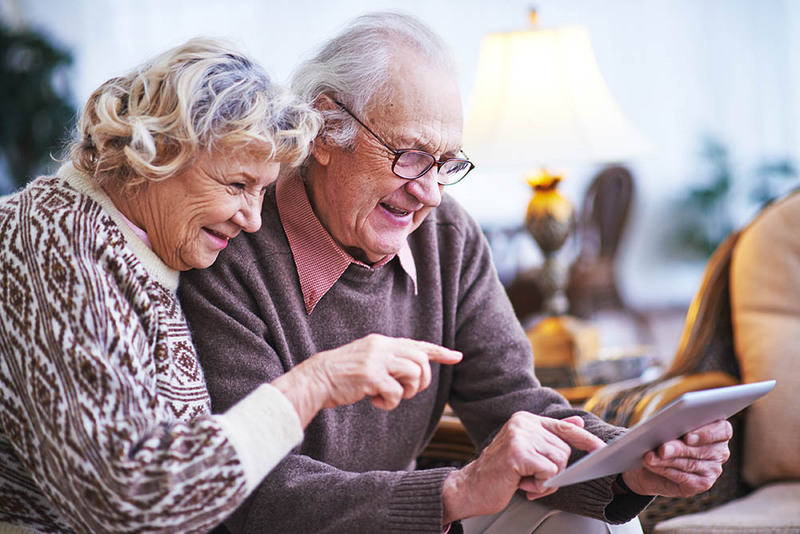 Seniors lives now depend on competent facility operations of technology. Artificial intelligence is helping deliver new ways to educate, engage, and entertain residents. Online activities are currently based around social media platforms, gaming, and video chat. But soon there will be increasingly widespread applications of AI that not only plays a pivotal role in enhanced caregiving, but also expanded lifestyle options for residents - particularly those who have mobility problems. Indeed, such robots are already here. At ElderCousel’s event The Next Frontier: Artificial Intelligence and the New Digital Landscape of Elder Law and the Elder Care Industry, April 11-12 in Denver, you can learn about Ryan, the companion robot developed by Prof. Mahoor and his team at the University of Denver. Ryan can read people’s emotions – an robot who can read facial expressions and respond, providing social and emotional support to seniors suffering from Alzheimer’s. This event can also be attended via webcast. In this video, ElderCounsel Principal Louis Pierro discusses what will be covered during this event. Jerry Wilmink, chief business officer for CarePredict, has said in part about senior living operator directions “… they have moved from paper to pixels with cloud-based electronic health records. The digitization of resident health data allows for the delivery of faster, more efficient and better care and outcomes.” The earliest adoption of web-based applications such as electronic health records, e-business solutions, and mobile devices employed by caregivers allowing point of care documentation has created a climate of better senior planning and care strategies, as well as business efficiencies. Electronic point-of-care documentation applications like eMAR (electronic medication administration record) allows a caregiver to document specific actions in great detail on a patient-by-patient basis. Nutrition management tools are also becoming used as they are very effective at tracking and tweaking senior resident dietary plans, ensuring compliance with a loved one’s dietary needs as well as restrictions. This point-of-care device approach also helps the caregiver team record the actual provision of care in real time, which allows them to get paid for what they do. When a caregiver has to assist 10 to 15 separate resident patients in a shift, it is difficult to record on paper the exact details of each case. This electronic handheld device approach also ensures a smooth transition during shift changes or in the event a substitute caregiver becomes necessary. Point-of-care approach handheld devices create real-time ease of detailed documentation for caregivers and increase efficiencies and accuracies in actual payouts for services performed. The medical and care information that is available through these integrated systems provides metadata that allows refinement of communications between the resident wearable, hand-held caregiver device, and network storage and security of the health information, which is generally stored in the cloud. Sorting through the metadata allows for a timely analysis of thousands of resident records, which helps to create advancements in artificial intelligence (AI) techniques. It also increases its predictive capabilities, which help to deliver more efficient care and ensure better outcomes. Integrated hardware and software solutions are enhancing communication, resident monitoring, therapy, medical diagnosis, and physical safety. Comprehensive solutions are just getting started and include AI driven insights into health and wellness, wander management for at-risk dementia residents, resident alert assists, RFID electronic lock access and much more that will change the way senior care is delivered. Artificial intelligence and its associated predictive analytics allow providers of care to track, assess, and monitor subtle changes in a resident’s day-to-day activities and behavioral patterns. Remote sensing technologies and wearables data are fed into a deep learning platform, which creates reactive and proactive solutions that predict health conditions in a resident, before visible symptoms or clinical diagnoses, such as urinary tract infections, increased risk of “fall days”, and depression. The challenge for senior living operators is to allocate substantial investments into the senior living infrastructure, and the time commitment needed for the planning and implementation phases of an integrated and secure network. Not only is finding the appropriate talent difficult, but the costs can be quite substantial. The approach to senior care is now inextricably linked to electronic infrastructure and applied technology that allows facility operators, caregivers, and residents an enhanced environment and better outcomes of care. There are many options available and requirements to be fulfilled in the design of a successful network system and proper IT implementation. We are at the forefront of applied technology solutions as it relates to senior care in an ever-increasing aging US population. A system that is correctly designed and implemented has boundless potential to improve senior care.